If you are going to have a photo booth, then having the best photo booth propsis a must. 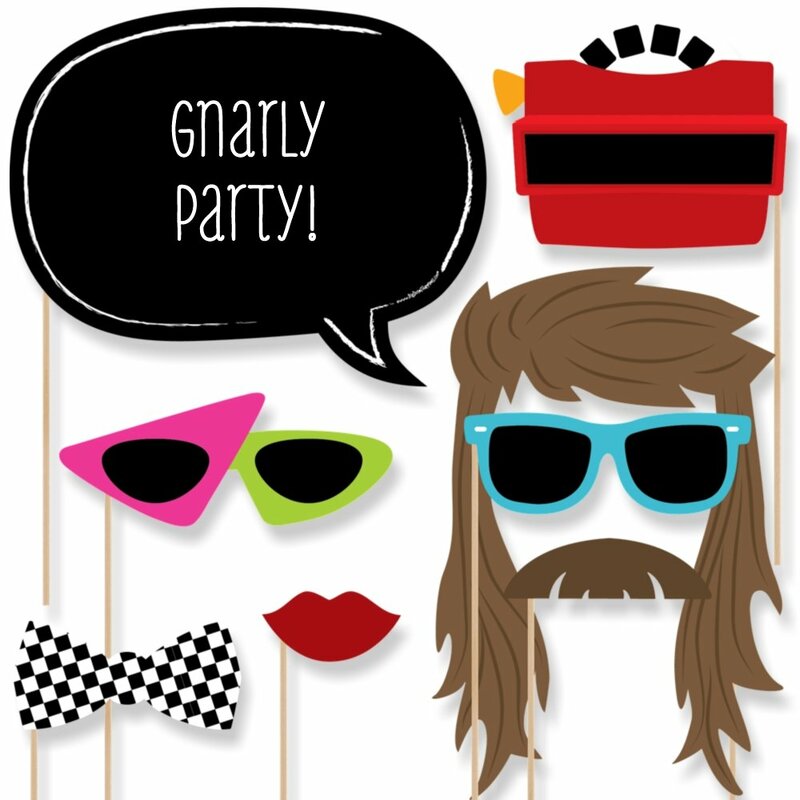 Our 80's retro, gnarly photo prop cutouts will help you easilycreate fun party photos at your party. The 80's era themed inspired photobooth prop kit comes with 20 pieces and is ready for quick assembly. Simplyadd the included wooden dowels to each prop, attaching with the included clearstickers, and display alongside a fun photo booth backdrop. Your party guestswill enjoy using the fun faces and accessories to liven up your photos!